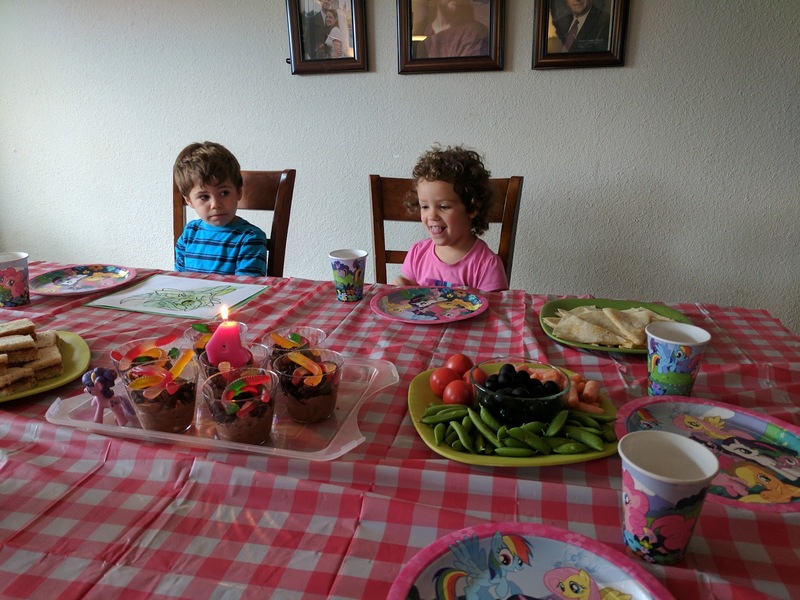 Good morning, four years old! Jade wanted to continue our tradition of bringing breakfast in bed for the birthday kid. 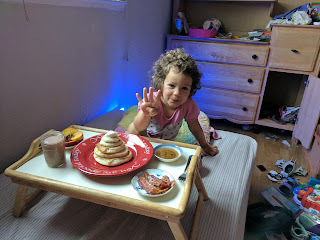 Pancakes and bacon were her request! 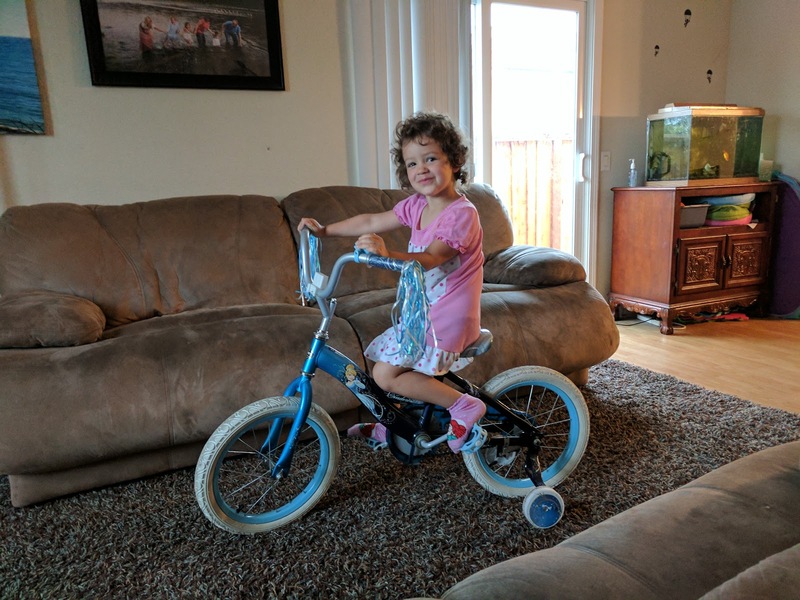 Jade is a very active girl. 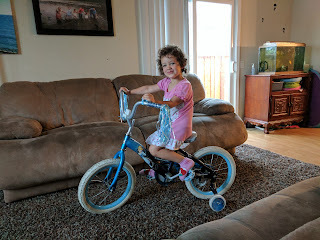 She loves going to open gym at "Nastics-for-day" (aka gymnastics), loves swimming, climbing, and really loves riding her bike--which was upgraded in size for her fourth birthday! Jade's other love right now is My Little Pony. She got two new ponies: Cherilee and Applejack, as gifts from her siblings, and then had a somewhat impromptu "Pony Picnic" with some little friends on Friday (who says babysitting can't be fun??). 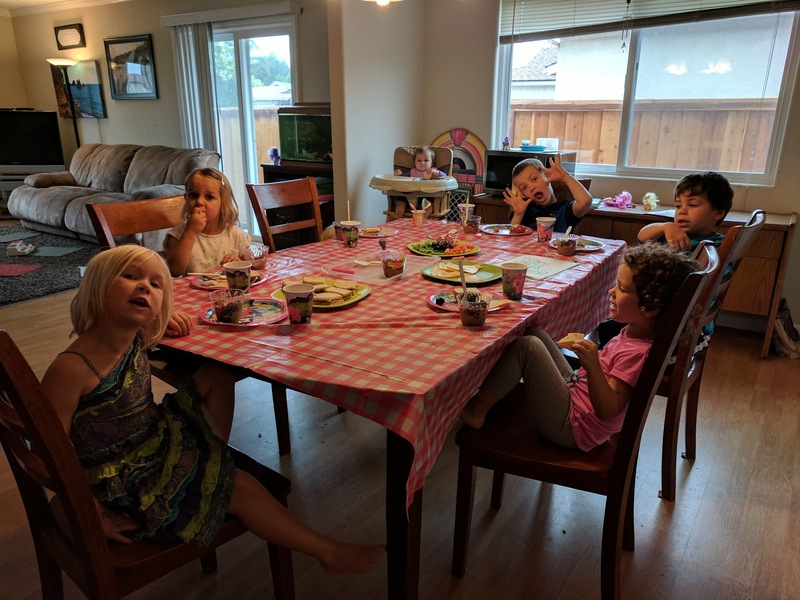 Adelyn, Conrad, Jade, and Sage were the 3/4 year olds, and they were accompanied by siblings Larry, Jack, and Zyna... and Adelyn's mom. The kids enjoyed some coloring, dancing, and "Humpty Dumpty Pony Pie" games. 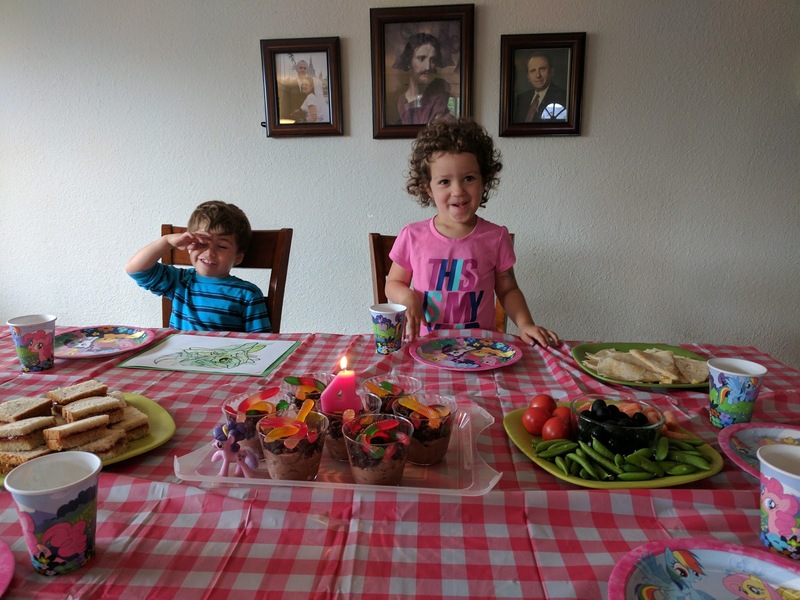 Her chosen menu was: PB&J sandwiches, quesadillas, veggies, and mud and worms for dessert :) Thanks to Nana for sending the "4" candle. It went perfectly with everything! Simple, last-minute, but delightful birthday fun! I love this sweet girl! And i am impressed with her skills!